On May 24, on the eve of the most glamorous race in motorsports, TAG Heuer hosted its annual VIP party aboard a towering luxury yacht in the brand’s colours in the port of Monaco, with the full squad of its longstanding Formula One racing partner, McLaren Mercedes. The next day, during the Monaco Grand Prix race, on a racetrack festooned with TAG Heuer banners, a star-studded roster of celebrity and racing brand ambassadors enjoyed an uninterrupted view of the proceedings from inside TAG Heuer’s private box. 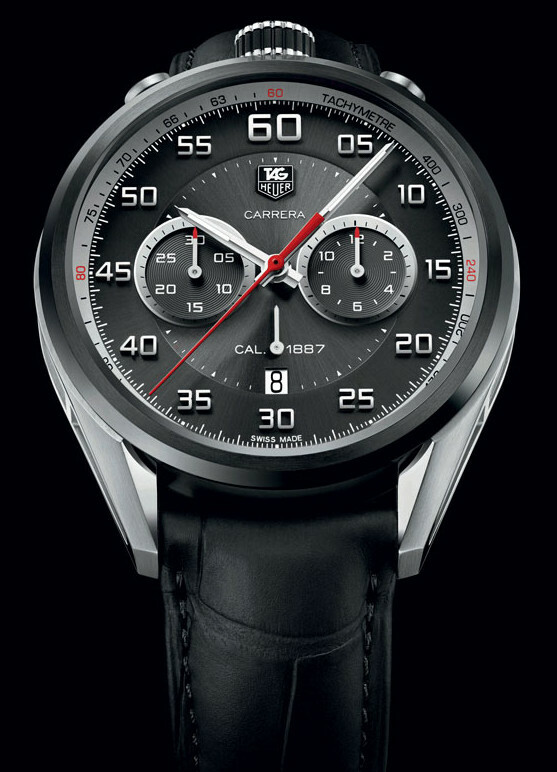 But then, the high-visibility partnership of TAG Heuer, the world leader in prestigious Swiss chronographs, with the Automobile Club de Monaco (ACM), the governing body of the iconic Grand Prix event, runs deep beneath the glamour, and is based on shared values and commitments. The first watch brand to sponsor a professional driver — Jo Siffert, 1969. The first watch brand to partner with a Grand Prix team — Scuderia Ferrari, 1971-1979. The most-winning watch brand at Monaco (15 victories) as part of the longest-running partnership in Formula One (29 years) with McLaren Mercedes — 1985 to now. The Official Timekeeper of Formula One, 1992-2003 — 1/1,000 of a second. The Official Timekeeper of Indy Racing League, 2004-2006 and again in 2014 — 1/10,000 of a second. The Official Partner of the Monaco Grand Prix with Automobile Club of Monaco (ACM) — 2011 to now. TAG Heuer has pushed time and its keeping to dizzying levels of precision — 1/10th, 1/100th, 1/1,000th and 5/10,000th of a second. Every motor racing world champion from Juan Manuel Fangio to Jenson Button has been part of the TAG Heuer legend. So has almost every race in the sport, but none more so than the mythic Monaco Grand Prix, the most prestigious of them all. First launched in 1969, Steve McQueen fell for the Monaco’s stunning look and wore it in his classic Le Mans movie. It is still as absolutely cutting-edge in its newest incarnation, the Monaco Calibre 6 Automatic 2014. 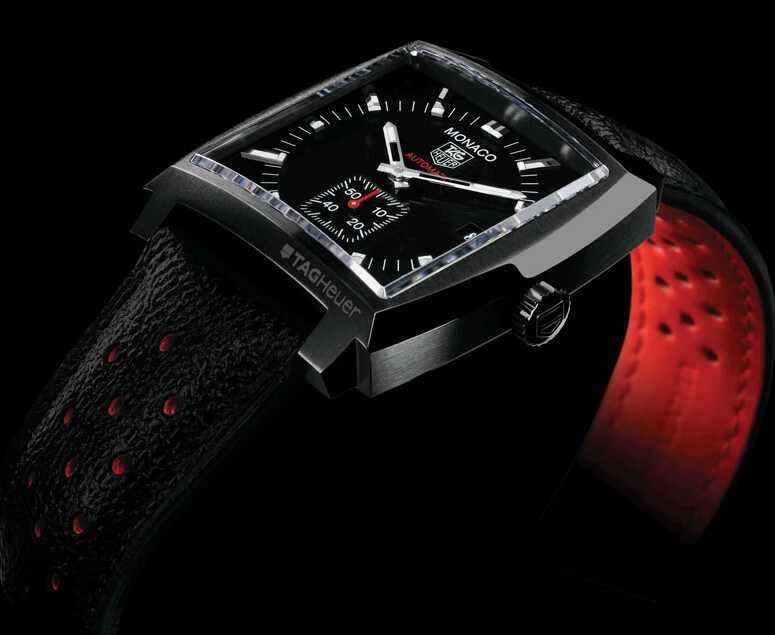 The new edition offers uncompromising styling and a daring all-black look, with black titanium carbide-coated case and crown, black dial with white luminescent markers and high-contrast red small second hand. 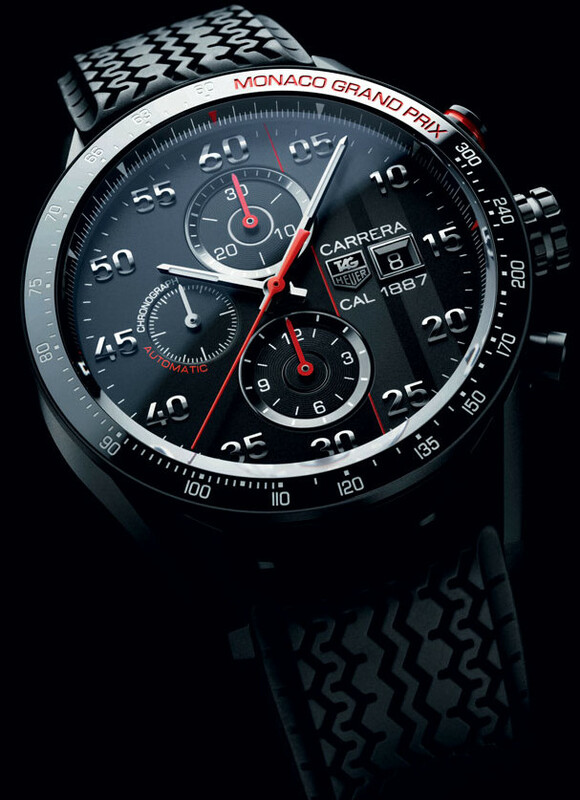 The first sports chronograph designed for professional drivers and sports-car enthusiasts, the Carrera is the standard-bearer of TAG Heuer’s unrivaled motorsports heritage. Created by Jack Heuer in 1963 and named after the dangerously grueling Carrera Panamericana Mexico Road Race, it was standard issue for Ferrari drivers. This newest addition to the Carrera legend is standard issue for McLaren drivers and pays tribute to the Monaco Grand Prix — the race’s name is lettered in red on its ceramic bezel with tachymetre scale. This spectacular chronograph takes its design cues from Heuer’s pioneering dashboard timers and the TAG Heuer Carrera Mikrogirder, winner of the Aiguille d’Or — the highest award in Swiss Watchmaking — at the Grand Prix d’Horlogerie de Genève in 2012. Classic stopwatch and car-racing aesthetics inspire its black dial with sunray effect and hand-applied Arabic numerals, and chronograph sub-counters with silver polished outlines. The 45mm case is in polished, fine-brushed and sandblasted steel and titanium.